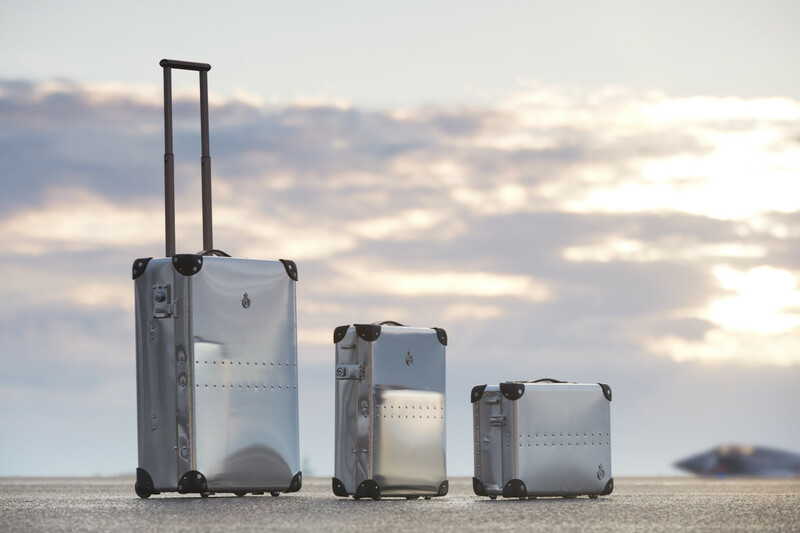 Globe-Trotter is celebrating the RAF&apos;s Centenary Year in a big way with a special edition RAF100 collection. 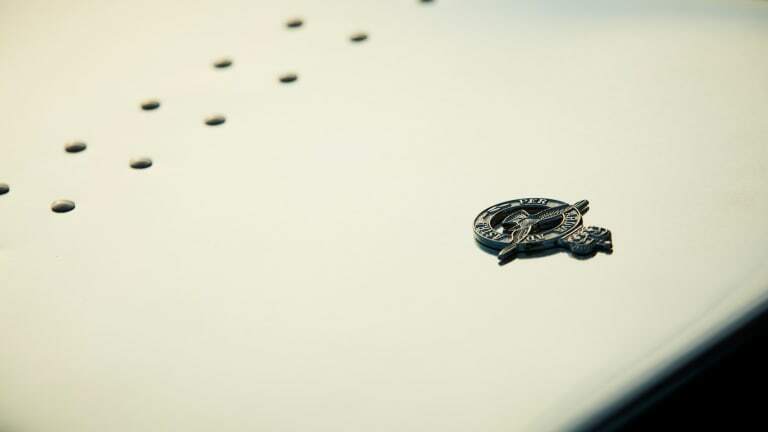 The collection will feature their classic vulcanized fiberboard designs, which are now getting wrapped in a shell of aluminum. 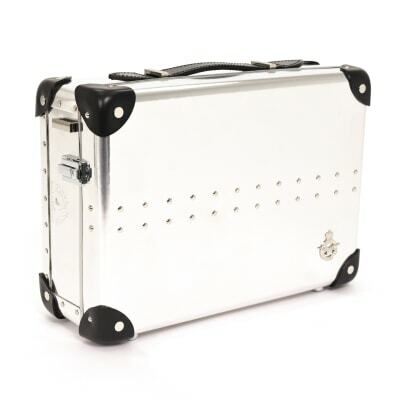 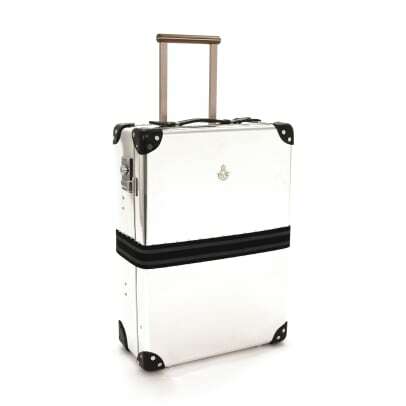 Designed to accompany RAF pilots, the luggage has been designed to open lengthwise so the inside can easily be accessed when the suitcase is standing upright. 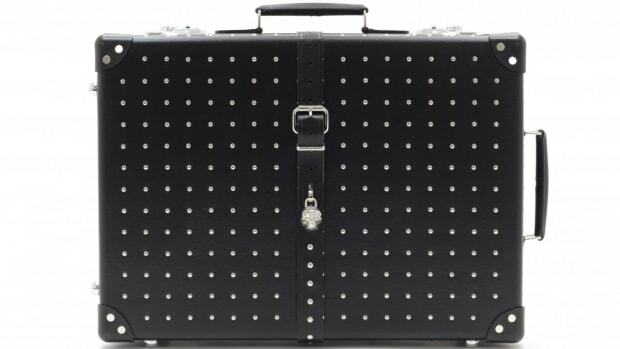 The collection will feature three pieces: a Trolley, Slim Attache, and a Utility Case. 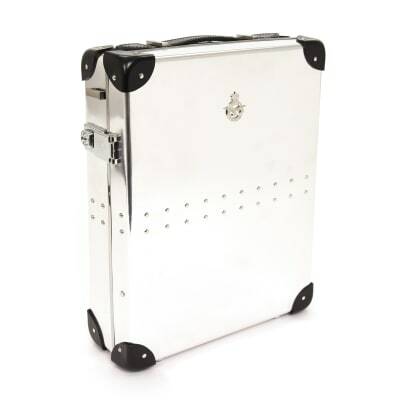 The aluminum luggage will feature a number of details such as riveted panels that look like they were lifted right off a vintage fighter plane, quilted interiors, reinforced leather corners for an added layer of protection, and grey-striped luggage belts for the Trolley and matching shoulder straps for the Attache and Utility Case. 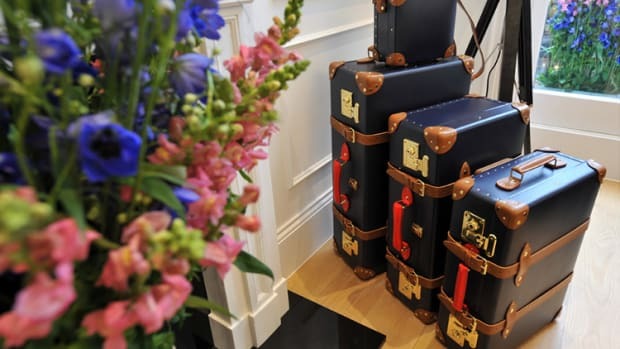 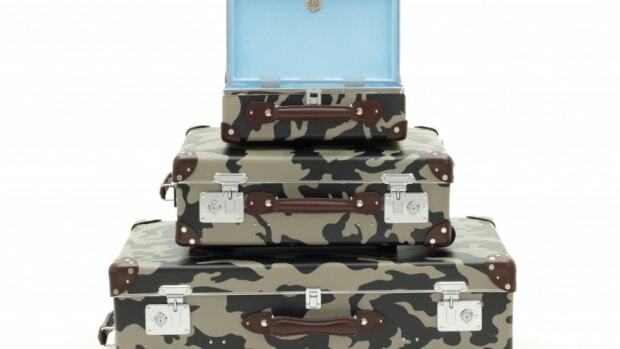 The British fashion house links up with London's best luggage maker.